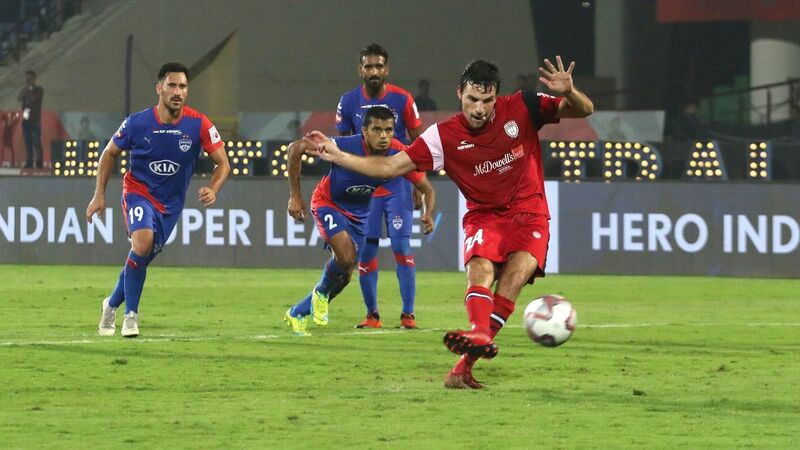 Both Carles Cuadrat and Sergio Lobera had wanted to showcase the magic of football in the ISL final. It was supposed to be a match-up between the two best ball-playing sides in the country, the two most entertaining. For large parts of 117 minutes, the magic was difficult to spot on the pitch. But with penalties on the cards, and the air sticky with tension, Rahul Bheke rose above everyone else in the 118th minute to guide Bengaluru FC to their maiden ISL title. 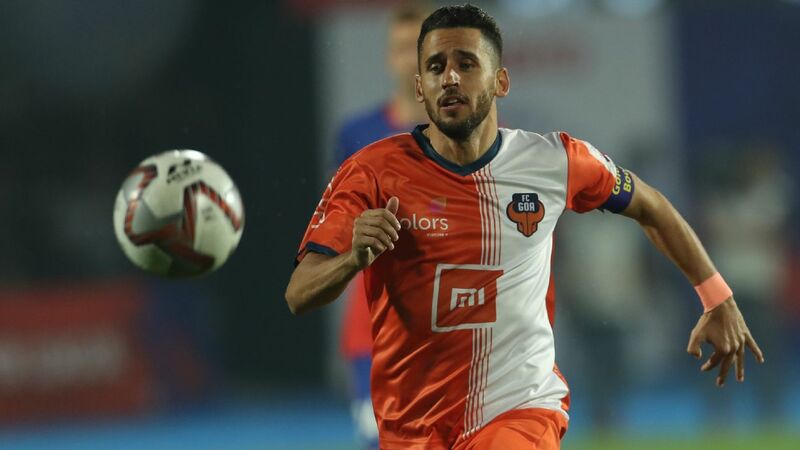 Just two minutes away from the cruelty and drama of a shootout, the 28-year-old defender had made sure Bengaluru had their hands on the trophy on their second attempt. Dimas Delgado's corner looked like it had flown too deep for any effective intervention from the Bengaluru men who packed the box. 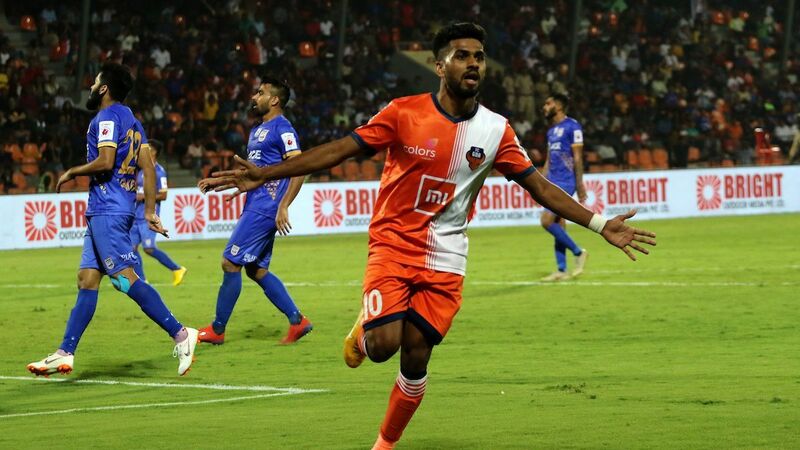 Bheke, though met it with a superb, looping header that grazed Naveen Kumar's fingertips on the way to the back of the net. In one corner of a predominantly orange crowd, a burst of blue exploded. 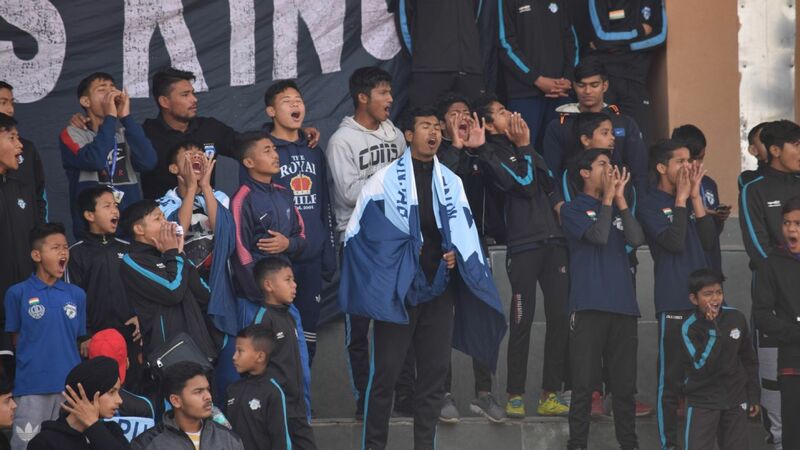 The small travelling contingent from Bengaluru, outnumbered 6-to-1 by their Goan counterparts, roared -- a shock of noise in a stadium that had fallen eerily silent. For much of the night, the drama and entertainment was restricted to a raucous crowd in Mumbai. On the field, a football match occasionally threatened to break out. Bengaluru did some things. Goa did some things. Nothing really happened. Ahmed Jahouh swept a couple of glorious crossfields with lovely, lazy swishes of his right boot. Xisco set up Miku with a ridiculously good flick, and the striker hit the inside of the Goa post with a toe-poke. Mourtada Fall threw himself at a Miku thunderbolt, deflecting it away from goal with his head -- from all of two yards out. Jackichand Singh had Nishu Kumar on toast whenever he ran at him along Goa's right flank. Udanta tormented Saviour Gama in return down Bengaluru's right. All that good, though, was neatly balanced out by the bad. Goa captain Mandar Rao Desai limped off injured a minute before halftime (Gama was his replacement). Jackichand got into great positions but lacked the end product in the final third, Udanta likewise. Coro shanked a shot from inside the box nearer the corner flag than the goal. Miku smacked a volley into row Z from five yards out. Edu glanced a free header, from six yards out, into the hands of Gurpreet Singh Sandhu. Sandhu himself fumbled and flapped his way through the match. Jahouh and Xisco clashed in the 105th minute, the Moroccan sent off for kicking Miku in the stomach while falling down (his second yellow), the Venezuelan shown a yellow for initiating the foul that sent them tumbling along in the first place. It was scrappy, full of hard running and niggly fouls, two good teams playing well below their proven capability and frustrated by it. Two coaches who knew each other well simply cancelled each other out for large parts of the game. As a disappointed Lobera put it, "I don't think BFC were better than us, I don't think we were better than them." He would go on to say that the key moment of the game was Jahouh's sending off - "I think it was a very tight game, and I thought it was going to be a matter of small details and the sending off was a major handicap." "It wasn't 'meant to be'. We really worked hard. Last year we conceded off set-pieces and we were dominant until that. We were determined not let that happen today," he said, before adding with a mock sigh aimed at his coach. "There are charts even in the bathroom. For every training session, we had to stand there and master hand signals. Because every free kick, every corner has a different sign and [sometimes] we forget. Today I asked Juanan [during a particular set-piece] what [the signal] meant, and he said even he doesn't know. So we had to ask a third guy. Man, we've worked really, really hard at set-pieces. "The only difference [from this final and the last] was that we made sure that whenever an attack finished, we come back and defend. 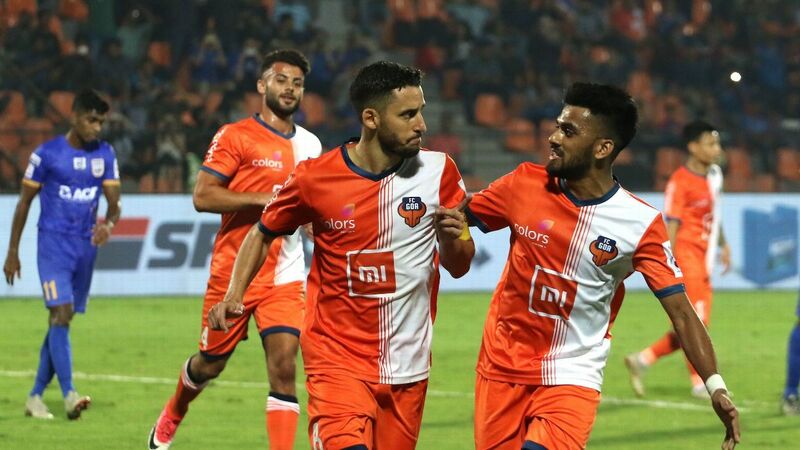 For players like Miku, me, and Udanta, it wasn't easy, but we did it," he said, determined to drive home the point that the 118th minute winner from a set piece did not arrive by accident. At the end of the night, Bengaluru FC are worthy champions. 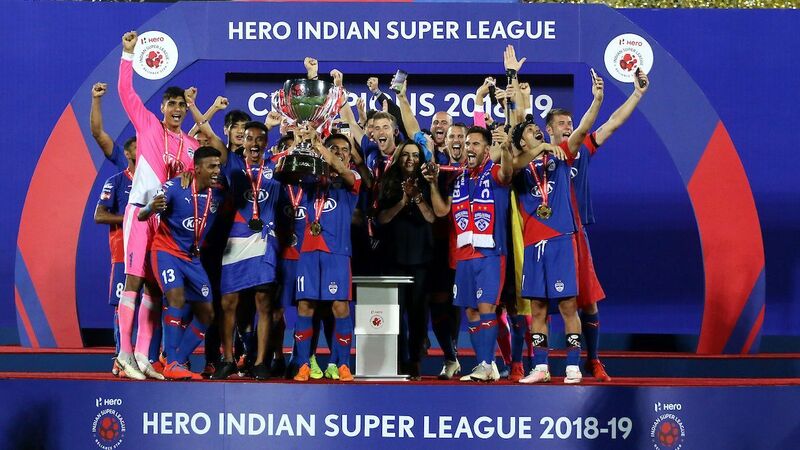 Perhaps fittingly enough, only six years into their existence, the country's best-run club has six trophies in their cabinet: two I-League titles, two Federation Cups, one Super Cup, and now, an ISL crown.